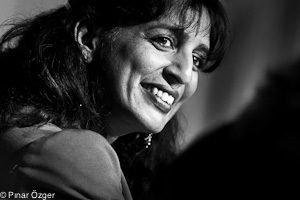 Time is of the essence, but it’s not simply about speed: Jayshree Ullal, president and CEO of Arista Networks, told the audience of GigaOM’s Structure conference on Wednesday that new networking technologies have to be “predictibly fast” — something that Arista wants to ensure by using cloud networking solutions like Openflow. Ullal said that the rate of adoption for these new kind of networking technologies itself has been breathtaking. “I never witnessed something so rapidly deployed,” she said, adding that Arista has been acquiring a new customer every single day over the last ten quarters. Still, change is inevitable, she told her audience, and only a reflection of the reality on the ground. “There are now two classes of networking: enterprise networking and cloud networking,” she said. Cloud networking is growing much faster, prompted by the need for low-latency operations in areas like trading and health care. And with new types of networking becoming more important, companies also need new tools to take care of their networking, which starts with things as simple as different controls planes. “The cloud is just expanding the horizon of how much we have to manage,” Ullal said. A smart and savvy presentation; however Jayshree really needs to learn that no one thinks financial trading has anything to do with cloud. Cloud is a self service deployment model, financial trade plants are nothing like clouds. Low latency is important in the financial space and in HPC. It doesn’t matter much in the cloud.